Tonkinese is a domestic shorthair cat. There is some controversy regarding the origin of this feline. Some believe that the cat is a natural breed and was imported alongside Siamese from the Orient in nineteenth century. Others maintain that it is an artificially created breed. In either case the modern origin of Tonkinese was in twentieth century when it was produced through crossing of Siamese with Burmese cats. Since then the cat has gone through various stages of development and is now recognized by most cat fancies around the world. To many it is still very much a Siamese that resembles the traditional Meezer cat of a few decades back. Tonkinese is the only feline breed whose modern roots can be traced to Canada. 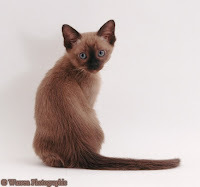 A combination of Siamese elegance and Burmese muscularity, the Tonkinese is a medium sized cat. It is sleek and strong and weighs in the range of eight to ten pounds for healthy adults. 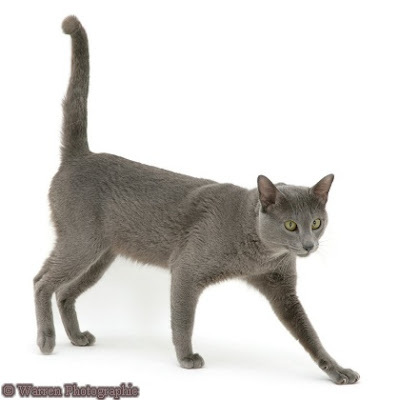 Body shape is that of the classical Siamese of old with a modified triangular head and almond shaped eyes that range in color from blue to green and golden. They are the only purebreds to have aqua colored eyes. Fur is short and dense and occurs in mink, solid or pointed patterns. Coat colors include blue, silver, gray, platinum and chocolate. Overall appearance of the Tonkinese is that of a slightly rounded, charming cat. Less vocal than their Siamese ancestors, Tonkinese are still quite talkative. They are not hesitant to expressive themselves and often carry out prolonged 'conversations' with their humans. Since they've also inherited the somewhat laid back nature of the Burmese, they are not overly demanding. Temperamentally Tonkinese are near perfect. They have got the best personality attributes from their oriental ancestors. They are both cuddling lap cats and are also very active and intelligent individuals. They love to play and have fun with all family members. Tonkinese are tolerant and loving animals and enjoy the company of dogs and other cats. Athletic creatures, they are quite capable of covering surprising distances in their horizontal and vertical leaps. Curious and exploratory by nature, these cute cats go around the house daily to observe and monitor all the activities of their 'subjects'. 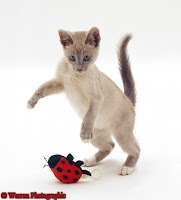 Tonkinese have a strong personality and are best suited to a life with individuals who want a bright, affectionate and communicative companion. Tonkinese: You cant have just one, and once addicted to that breed, you will always have some around!!! my best friend is a tonkinese. A 5 year old, but a kitten forever. I am never ignored and requently engaged in wresting and chasey. Travels with me on trips to other cities and hotels well. Instagram is the best media.